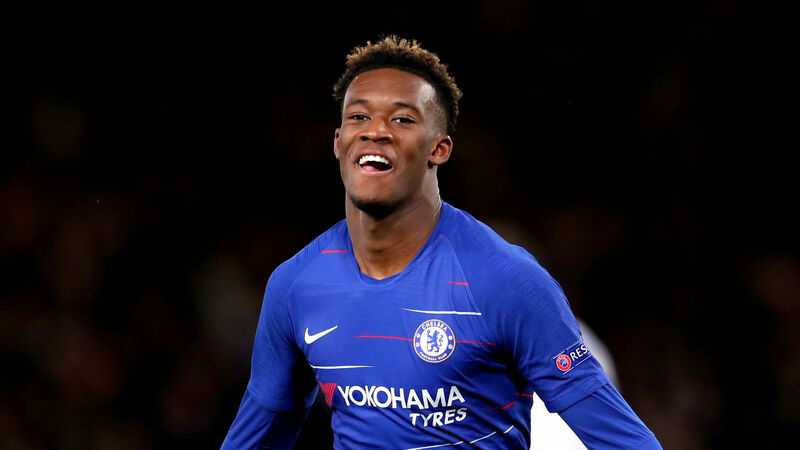 Bayern Munich's interest in Callum Hudson-Odoi proves England's future is in good hands, according to former Football Association technical director Dan Ashworth. Chelsea youngster Hudson-Odoi is yet to start a Premier League game this season, but was the subject of several big-money offers from Bundesliga champions Bayern in January. Hudson-Odoi has impressed when given the chance in domestic cup competitions and the Europa League and that has been enough to earn a first national team call up for England's upcoming Euro 2020 qualifiers against Czech Republic and Montenegro, while Jadon Sancho – who has starred at Borussia Dortmund this term – is also in Gareth Southgate's squad. And Ashworth, who left his role at the FA to join Premier League side Brighton and Hove Albion, believes foreign interest in England's youth players bodes well for the future. "The standard of young player coming through now, compared to when I started in youth development 20-something years ago, is chalk and cheese," Ashworth told the Telegraph. "There's a massive difference. If our players are playing at the top end, the top leagues, for top clubs such as Dortmund, it means other nations are looking at our players and recognising the talent that is in the system [and] they are getting big-match experiences, and big games. "These are some big-hitters like Bayern after some young English talent and that can only be good for the English game. It means we are producing players and people that others find attractive." Joining Hudson-Odoi for his first international call up is West Ham midfielder Declan Rice, who has been drafted into Southgate's squad after switching allegiance to England from the Republic of Ireland, who he played for at youth level as well as making three friendly appearances for the first team. And though acknowledging that England cannot expect talented players of dual nationality to represent them, Ashworth insists the FA should have no concerns in attempting to recruit players also eligible for other countries. "A lot of people have a lot of different ties, emotions," Ashworth said. "We have 75 under-15s on our radar, our 'long list', and 55 have dual or more nationality. "That gives us a bigger and better pool of players to pick from, but it also brings words of warning to governing bodies and national associations, don't assume they are locked into your particular nation because, like in club land, there might be more suitors looking. "You look at other sports and countries, and you want to recruit from the biggest pool you possibly can. Every other nation is using those rules to expand their pool of players. Why isn't England?"